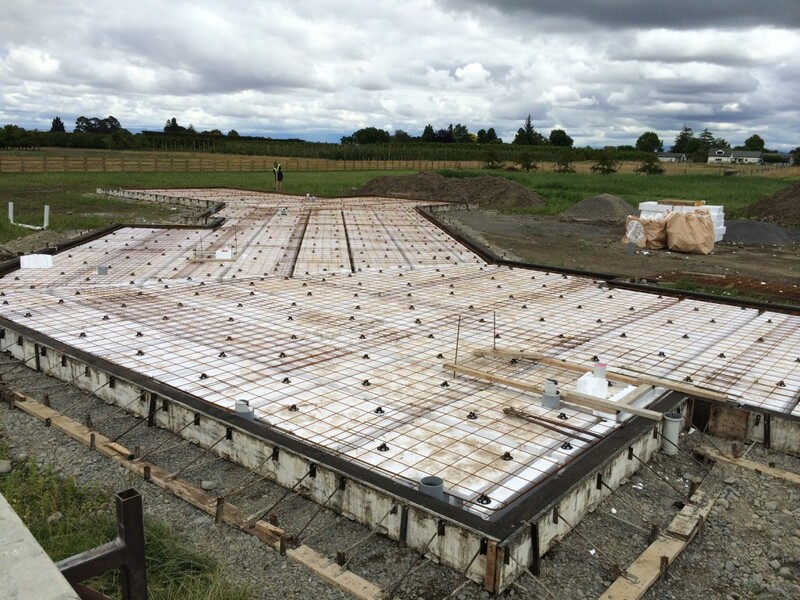 Becoming one of the fastest growing residential and light commercial flooring options in New Zealand, the RibRaft system is an innovative solution for concrete flooring construction. This fast and efficient method used by our experienced team will save time and provide high strength and durability. 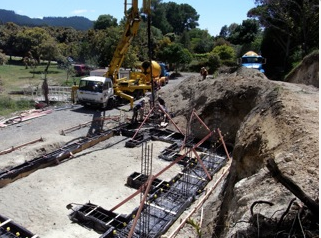 As the foundations are created on the ground, not in the ground construction can continue as per normal throughout wet weather. 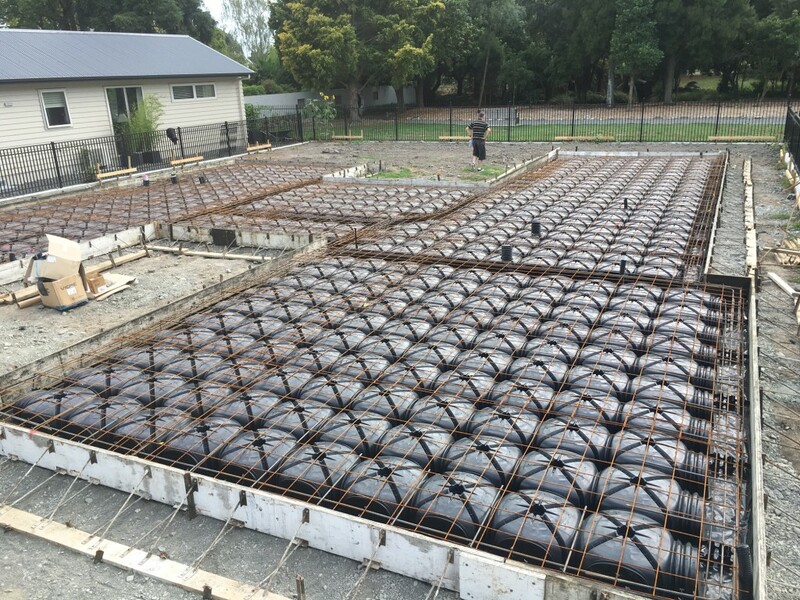 The concrete slab has huge strength as it is reinforced with a concrete beam and concrete ribs over the floors. From small homes to large developments, this versatile system adapts perfectly to a range of projects. 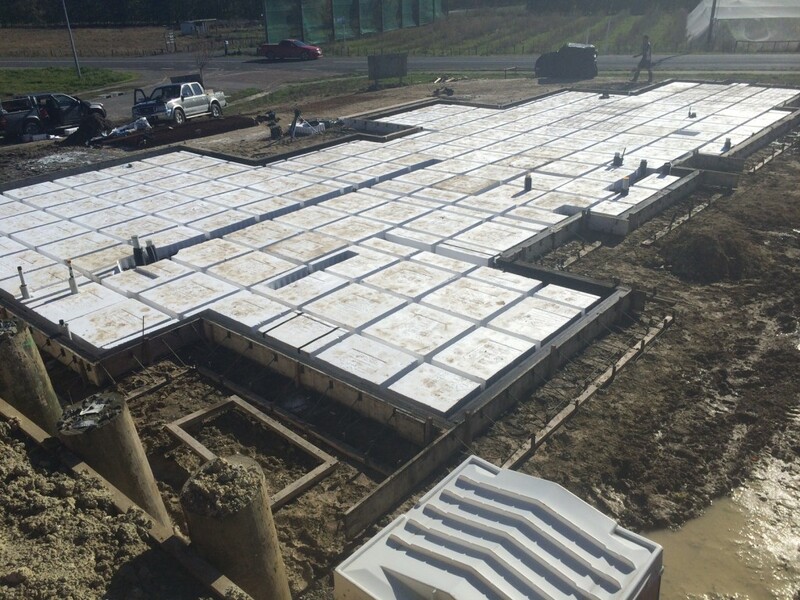 As opposed to traditional concrete foundations, Cupolex is an eco-friendly and cost effective alternative. The Cupolex system arrives on site, and is ready to be installed immediately. It is quick and simple to be installed with basic tools. It is made out of 100% non-toxic recyclable materials. Cupolex domes can be fitted together to form the foundations of anything from a sleep out, to a family home or commercial property. Concrete slabs are extremely stable, providing the home with increased support and firmness. Concrete slabs are more water resistant than other types of foundations, providing protection from rising water tables. This type of foundation provides excellent thermal conduction, storing the heat of the day and releasing it gradually at night when it is cooler.